It will take a decision from the European Commission to change Microsoft's attitude in the browser wars and finally level the playing field – according to Opera's CEO Jon von Tetzchner. 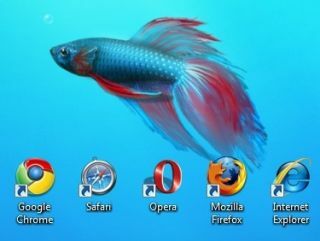 Von Tetzchner, speaking to TechRadar on a visit to London, is hopeful that the ongoing EC investigation into bundling browsers will give consumers more opportunity to try different browsers and pick the one that they like best. Microsoft would never do this of its own accord, said von Tetzchner, when TechRadar asked him if he expected the arrival of Windows 7 to level the playing field. "The [EC] case is ongoing so until there is something coming out of the case I don't expect anything to happen from Microsoft," said von Tetzchner. "Saying that, we have seen some things coming out of the case already; The fact that they have finally mad a move towards open standards on the web has to be sees in relation to the case. "But that case is still ongoing and the first thing that we need to finalise is if Microsoft actually broke any laws. For me that is clear, but should it be the case then Microsoft does appear more open on the inclusion of all twenty browsers with Windows." Von Tetzchner believes that Microsoft's assertion that installing multiple browsers is down to the OEMs who make the computers is disingenuous. "Clearly this is a way to get away from the problem," continued von Tetzchner. "They are trying to say that the problem isn't with Microsoft but the OEMs – that the OEMs don't want to include the other browsers. "OEMs can, in theory, include other browsers but that could potentially earn the wrath of Microsoft and the potential of damaging that relationship." Von Tetzchner is not sure when the case will finally be concluded, but he is full of praise for the Commission to date. "I think clearly the European Commission has the best chance of levelling the playing field," he added. "I do believe browsers will be a level playing field at some point and that you will have a choice and that is somthing that is increasingly important. "We can get there and I'm hopeful that the case will lead to that conclusion. "We are hoping it will happen quickly but it is outside of our control. Our feeling is that the Commission is doing a good job and has moved swiftly and we are hoping that there will be a conclusion but these kinds of things take a long time."